There are more than 90,000 Malaysians living with HIV/AIDS today, but only one-third of them are seeking treatment. 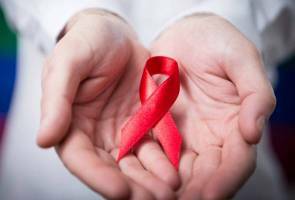 KUALA LUMPUR: The Health Ministry, in collaboration with Malaysian AIDS Council and Malaysian AIDS Foundation (MAF) has launched its latest HIV and AIDS public awareness campaign as a part of the National Strategic Plan for Ending AIDS 2016-2030. The campaign is called 'Ending AIDS Begins Now'. Deputy Health Minister, Datuk Seri Dr Hilmi Yahaya said since the first case of HIV/AIDS in Malaysia was detected back in 1986, there had been 17,916 deaths from 108,519 reported cases of the epidemic disease, leaving some 90,603 people still living with it. "Of the 90,603 patients, only 30 percent seek consistent medical treatment to carry on with their lives. We urge the rest to do the same," he told a press conference after the launch of the campaign here Tuesday. "New HIV infection cases have decreased by 50 percent as compared to 2002 and there has been a significant reduction in AIDS-related deaths by 28 percent since 2002," he said. Earlier, MAF received a RM100,000 donation from Kingsmen, a league of corporate figures and entrepreneurs in support of its high-impact HIV treatment, care and support programmes.